February 6, 2019 – As part of National Signing Day. 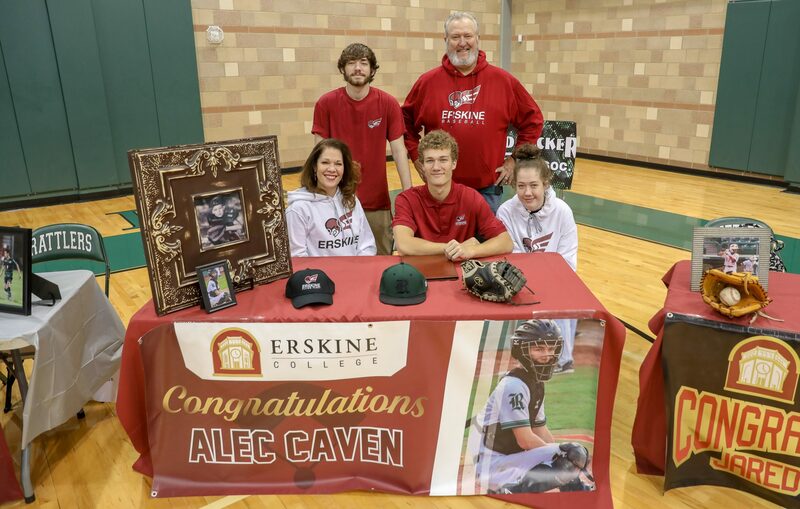 Alec Caven committed to play baseball for Erskine College in Due West, South Carolina. Congratulations to Alec! We look forward to following his career at Erskine College and wish him continued success. Follow him @FleetBaseball. Go Fleet! Alec is pictured with his parents, Terry and Rebecca, his brother, Nicholas, and sister, Claire.